Sema subsequently undertook her Common Professional Examination (CPE) at the University of Westminster, followed by a legal internship at the Kurdish Human Rights Project. Sema joined Morgan Has Solicitors as an Immigration Consultant in 2013 upon till now. 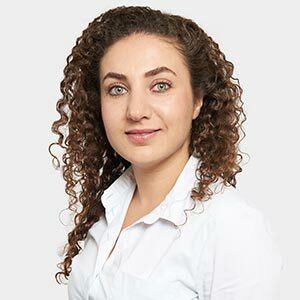 Prior to joining Morgan Has Solicitors, having worked at various renowned High Street firms after her internship Sema developed her knowledge and passion in the area of Immigration and Human Rights Law. She specialises in Asylum, Deportation, Entry Clearance Applications and European Community Association Agreement with Turkey (ECAA – Ankara Agreement) applications. Sema represents clients at all levels including Judicial Review and Appeals from First Tier Tribunal to Court of Appeal, with success. Before pursuing a career in law, Sema studied in St Mary’s University and graduated with a degree in Business Law and Managements Studies in 2010. Sema is fluent in three languages: English, Turkish and Kurdish.